Resolved an issue that was causing players to not be able to load into their characters. Resolved an issue that was causing enemies in all Task Force Operations to be set at level 10. Resolved an issue that prevented Discovery characters from gaining the first complement of Duty Officers mission. Removed obsolete Expertise Spent category from status UI. . Resolved an issue which caused the Prototype Light Exploration Cruiser to be unavailable to Federation-aligned Romulan and Dominion characters. Resolved an issue that was causing the Type 7 shuttle to not be available for eligible accounts. Removed reference to "Energy Type Variants" as a reward for Dyson Tier 6 Reputation. Resolved an issue that was causing the Lockbox opening experience to not display the rewarded item. Resolved an issue that was preventing color customization on Discovery Uniform collars. 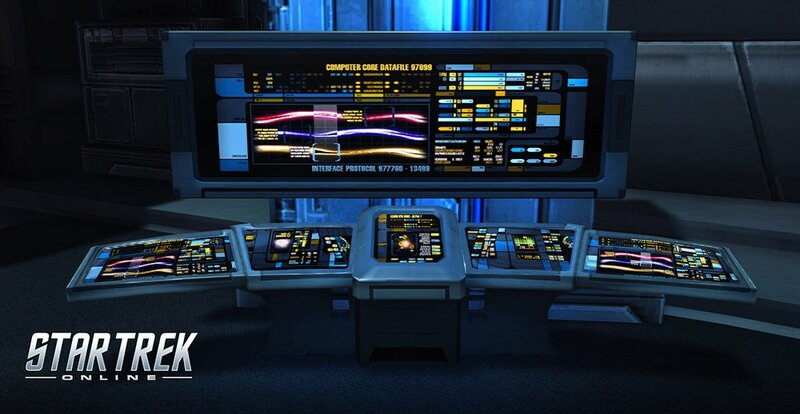 Bridge Officers are now able to use ranked Discovery badges from Lieutenant and above. Resolved an issue that was causing the Lukara to not be able to fight while at full health during the Discovery Faction tutorial. Added missing backgrounds to Justin Straal's contacts in the episode "Secrets."